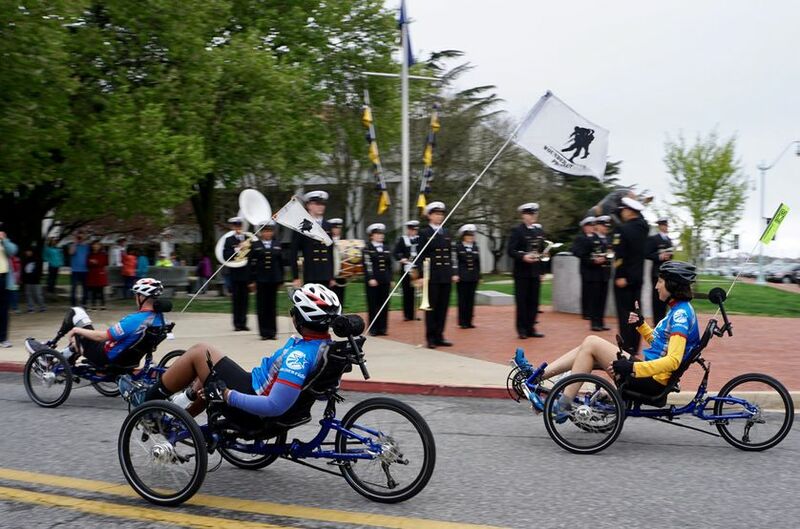 This multi-day adaptive cycling event gave more than 70 wounded warriors and their caregivers a chance to connect, while challenging themselves physically and mentally. Last year, Army veteran Deven Schei had the special privilege of introducing the president to other attending warriors during the White House ceremony. 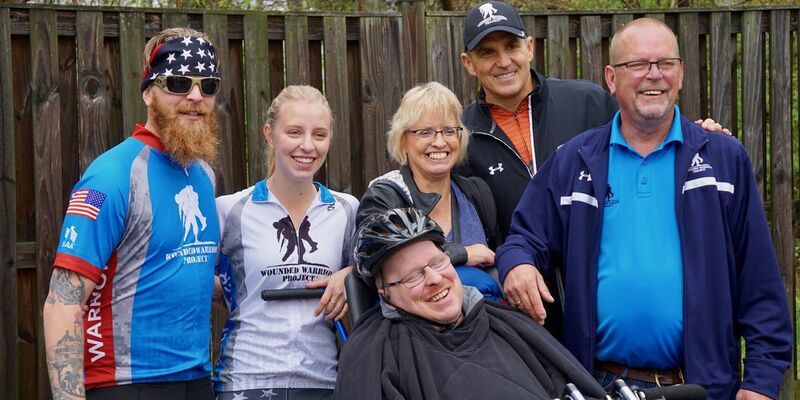 This year, he was there as a rider, along with his brother and fellow Army veteran, Erik. 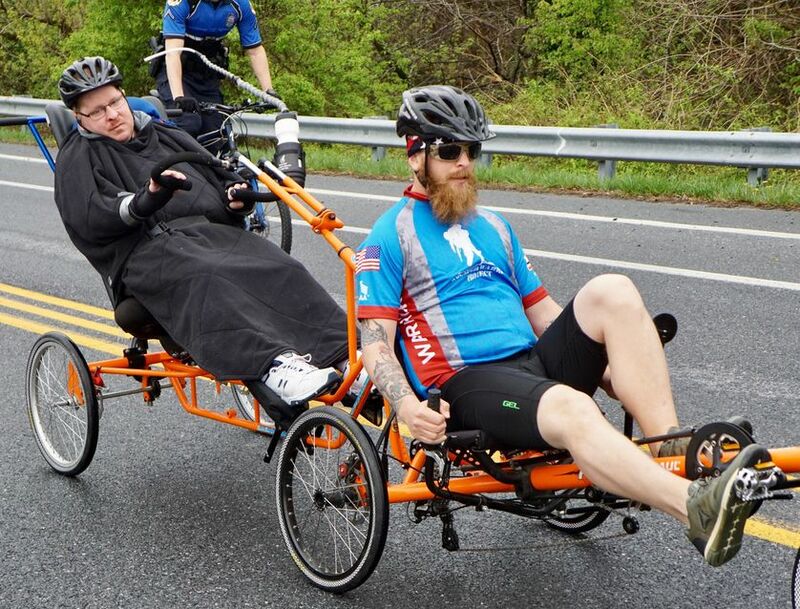 They rode together through Annapolis, but not on separate bikes – they shared a specially adapted tandem bicycle that suits their needs. During his service in 2005, Erik was critically wounded by a sniper’s bullet. His resulting traumatic head injury is so severe that he requires extensive caregiver support from his parents. But before Erik was shot, Deven made a solemn vow: “If something happens to you while you’re over there, I promise to finish what you started.” Deven kept his word and enlisted. Riding through Annapolis wasn’t the only part of the Soldier Ride DC experience — the White House opened its doors to the warriors and gave them access to the East Wing where they met Cabinet members, military leaders, and other distinguished guests. Warriors greeted the president one-by-one. They took pictures with him and then filed into the East Room for the president’s speech. As “Hail to the Chief” played, President Donald Trump walked in, joined by Army veteran Dan Nevins and WWP CEO Lt. Gen. (Ret.) Mike Linnington. 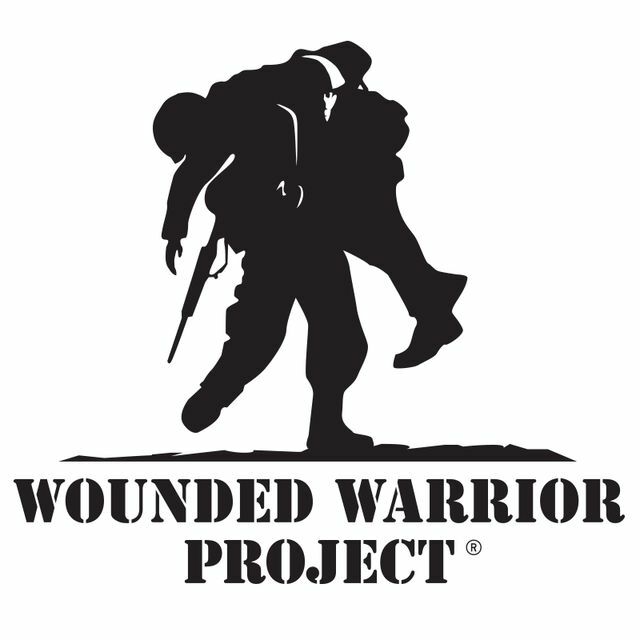 Once the applause settled down, the president praised the sacrifice and courage of the wounded warriors on stage with him – and all wounded warriors – and promised his administration’s support in their recoveries. “We were honored by President Donald Trump’s hospitality and words of support,” Mike said. “It was a tremendous honor for these men and women to walk these historic halls and be recognized for their service and sacrifices."